Gunpowder Park is a 90 hectare new country park in Lee Valley Regional Park, at the top of Greater London. 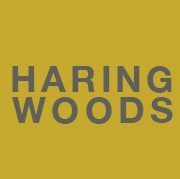 Between 2004 and 2009, Haring Woods developed and delivered a five year research and development programme, focusing on arts, science and the environment which explored the role of open space as a catalyst for creativity, collaboration and knowledge sharing. Haring Woods’ concept for Gunpowder Park was to use the landscape as a focus for a range of creative professionals to imagine and test out new possibilities for our public spaces. This unprecedented physical space and freedom was provided with the support of Haring Woods’ team of professionals trained as producers, curators, commissioners and arts managers who have extensive experience creating and producing large scale international events. This experimental program positioned the Park as a significant regional and international resource for research and development into how arts and culture can affect our open spaces. Over the five years, the curatorial policy and producing methodology for Gunpowder Park attracted international artists and organsations across disciplines, such as American theatre designer and artist Robert Wilson, arts and science agency Arts Catalyst who co-produced the 2nd International Artists Airshow, international political and cultural theorist Benjamin Barber, the legendary environmental artists Newton and Helen Harrison and Tomas Saraceno- and many more. The two core programmes developed out of Gunpowder Park were Bright Sparks, a unique R&D funding initiative to explore the physical and social aspects of our open spaces, and the Art of Common Space, an international programme of artist’s commissions and events exploring the future possibilities of our common spaces.